New Delhi [India] : The Swadeshi Jagran Manch has shown solidarity with some groups opposing Goods and Service Tax(GST) in its present form and demanding the Government to address their concerns for a balanced GST. The new tax regime in the form of Goods and Service Tax (GST), will be launched at midnight on June 30. According to Swadeshi Jagran Manch, while deciding the rates of the GST,care has not been taken to keep rates low for commodities being produced by small scale industries. Beedi, crackers,beverages, biscuits, pickles, confectionery, scissors and host of other products produced by SSIs and cottage industries are attracting higher rates of GST, which is likely to affect their competitiveness. "The Beedi industry provides direct and indirect employment to nearly 5 crore people and needs to be protected. 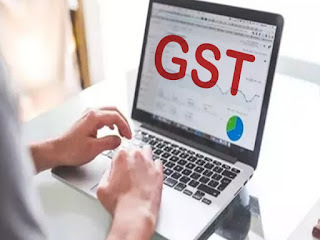 In the new GST, Beedi attracts highest tax rate of 28 percent endangering the employment of crores of tendu patta collectors and Beedi rolling workers, especially women," said the statement. The small scale industries are of core importance for India in terms of output, employment and exports. Moreover, SSIs, despite various disadvantages, have been giving tough competition to Chinese onslaught. The Swadeshi Jagran Manch has also said "If new tax regime works against their interests, influx of Chinese products will increase, causing huge balance of payment deficit". A large number of SSIs and traders organizations are opposing GST in its present form, seeking redressal of their concerns.